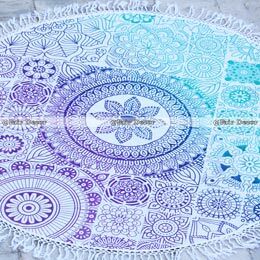 The stunning piece of material mixed with a touch of cotton can be used for several purposes as a hanging, table cloth or yoga mat. 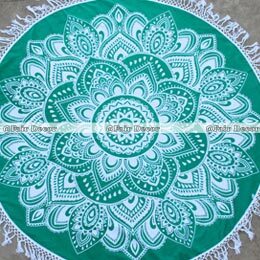 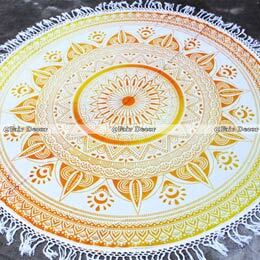 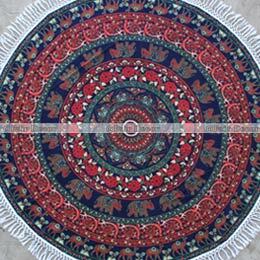 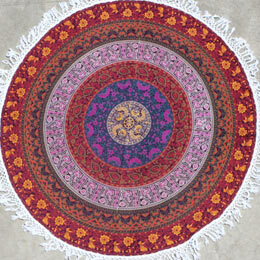 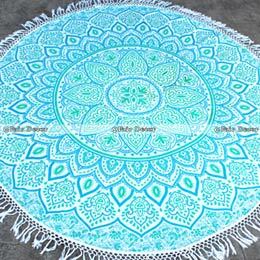 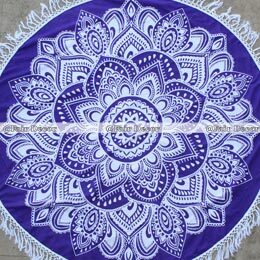 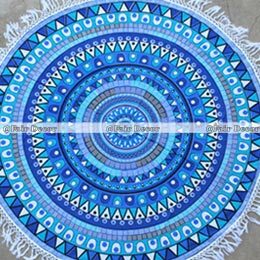 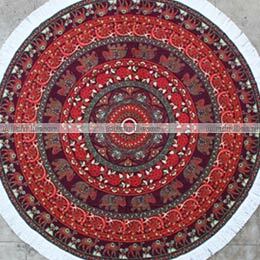 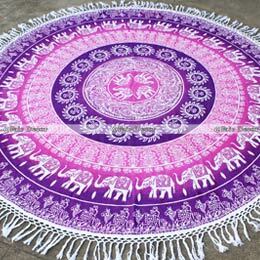 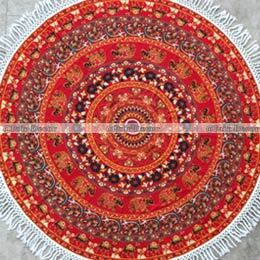 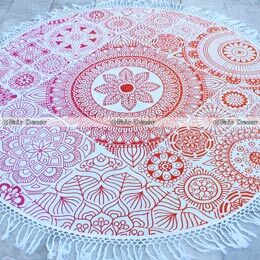 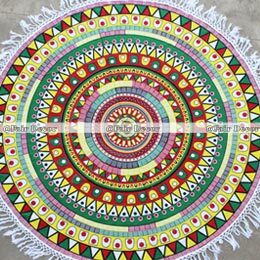 The rich set of colors and the unique mix of designs from the mandala cloth have made them to be a captivating leader for sale in the online market. 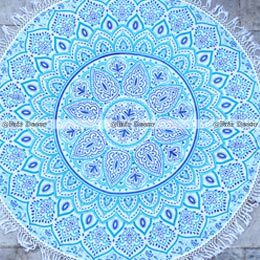 The spherical towel could be used as an interior décor in the living space where there are wide varieties of colors that could be chosen depending on our need. 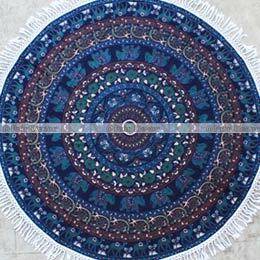 The beautiful stringed patterns and the intricate set of carvings within makes the roundie mandala tassel to be a soughed out product for all groups of people. 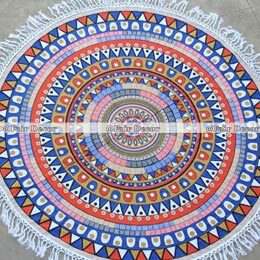 The cotton fabric material requires careful process during the washing and drying process as it is made from screen printed process. 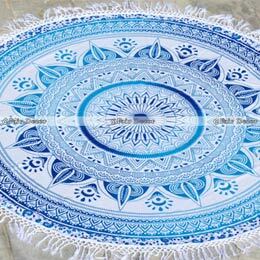 The tassel beach towel materials can create a smooth feel as it is very strong and durable enough. 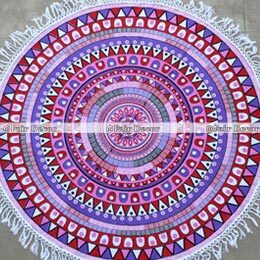 The soft material on the cloth makes the tapestry to be made as a perfect gift transforming the vibrant room into a more energetic space. 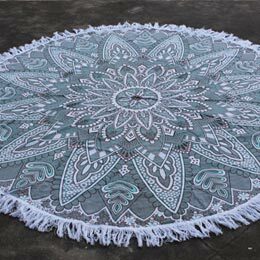 The beautiful tassel roundies could be placed as a room divider or as a furniture cover, making it to be a gorgeous product for use. 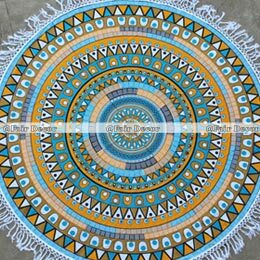 The tassel mandala beach towel is another amazing product that can create warm thunder the sun and can act as a perfect mat for yoga too. 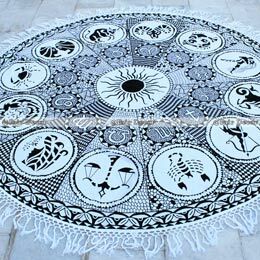 The hand knitted cotton material has tiny spots of patterns that are very minute in detail, creating a sparkling pattern of designs by maintaining the uniqueness in each product. 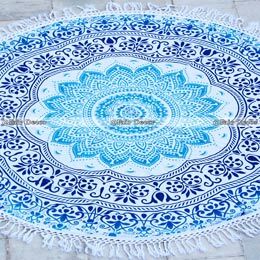 These soft and luxurious cheap beach towels need to be washed separately because of its weaving patterns. 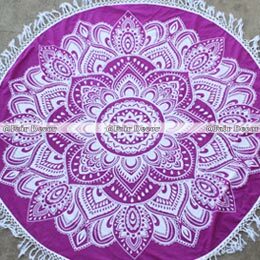 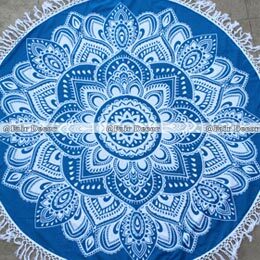 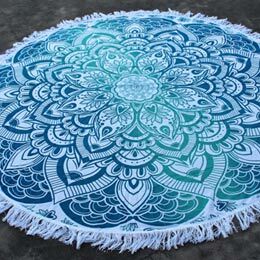 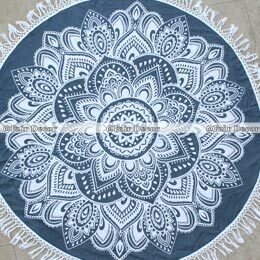 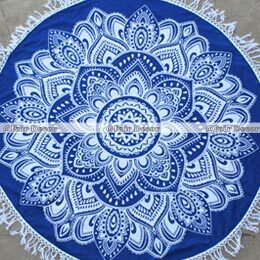 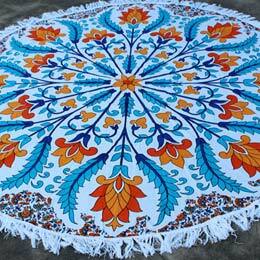 The roundie mandala tassel beach towel are so intricate in design that can be placed as a wall hanging or covered over the ceiling too. 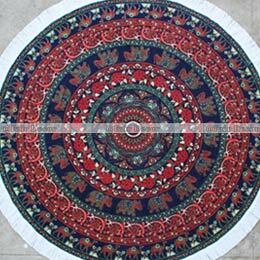 Their multi-purpose uses can make the product to be placed as a sublime material for online sale. 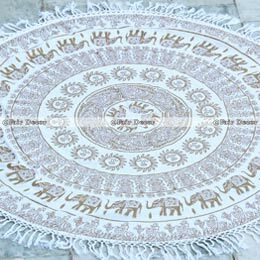 Almost all the products have standard delivery ensured and appropriate offers and discounts are given before placing the sale. 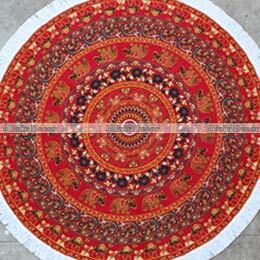 The design and size are so unique in feature that has been in sale for several countries including japan, UK and other European countries too. 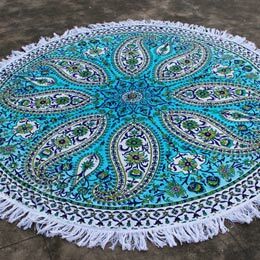 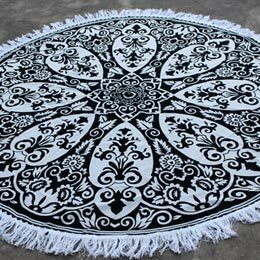 The round pattern of designs from the tassel beach throw towels is actually a fabric that is blended with a mix of quality and creativeness within. 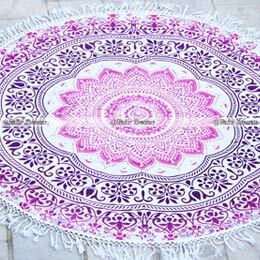 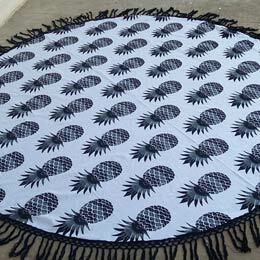 Round tassel beach towels are available wholesale and retail directly from Manufacturer. 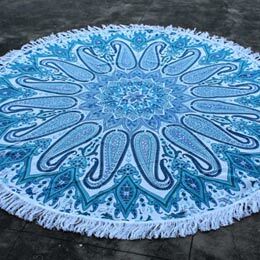 We offer the highest quality round tassel beach towels, cheap beach towels for sale directly to your doorstep. 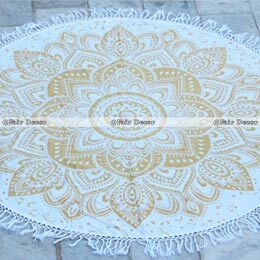 Discover our designer collection of round tassel beach towels. 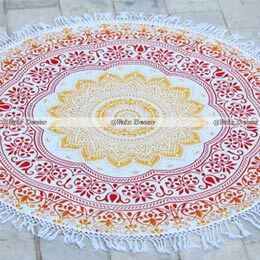 Made in Jaipur India with 100 % Cotton. 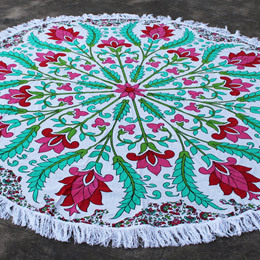 They are also known as Roundie Towels, Round Towels. 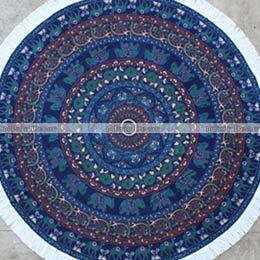 For Wholesale Inquiry, Please Sign Up here.